In the early days of World War II, air raids and other attacks on populated areas in Europe generated fears that similar attacks could happen in the United States. 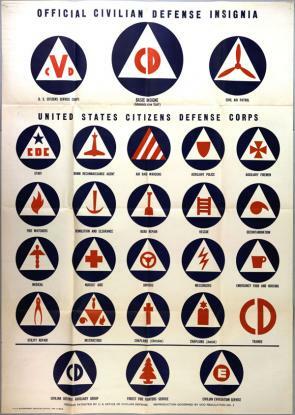 On May 20, 1941, more than six months before the United States entered the war, President Franklin Roosevelt set up the Office of Civilian Defense (OCD) to coordinate state and federal measures to protect civilians in a war-related emergency. 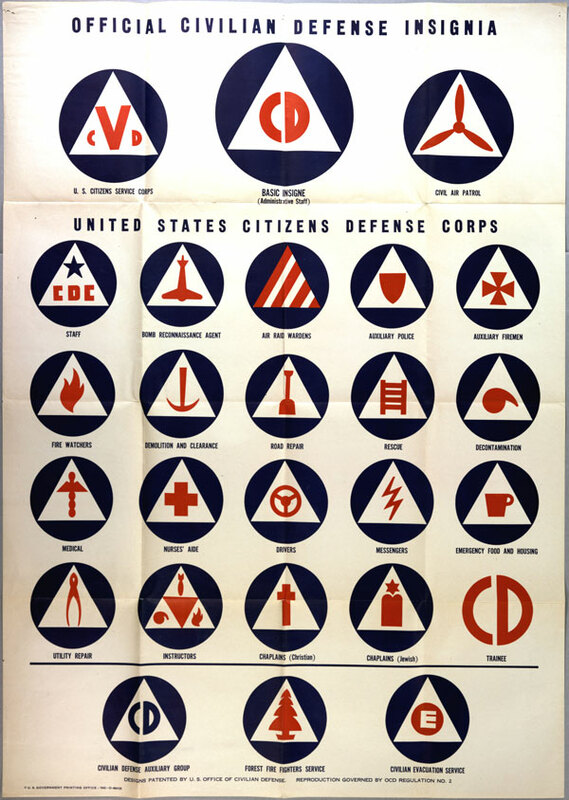 The OCD organized the United States Citizens Defense Corps to recruit and train volunteers to perform essential tasks. business and professional people—for the mutual protection of all. Boys and girls, and elderly people too, have work to do. The program is broad; the tasks are many; the time is now! . . . Qualifications for membership require enrollment, physical and mental aptitude, recognition of obligation to study duties, take required training courses, and subsequently attend periodical group practice. For selected pages from the United States Citizens Defense Corps handbook, click here. Describe some of the concerns that led President Roosevelt to establish the United States Citizens Defense Corps. Some argue that the Citizens Defense Corps as well as other home front activities, such as scrap drives and Victory gardens, inspired in Americans a spirit of “we are all in this together.” Present an argument to support or oppose this theory. Who would be recruited as a member? What were the responsibilities of the job? What training was necessary for participation? How were these corps members expected to assist regular emergency personnel?